This innovative sporting event is not a competition—it’s all for the fun of gathering 1,000 women who want to enjoy Run+SUP+Yoga in Mexico’s top luxury destination. The Riviera Nayarit will be the first destination in Mexico to host the #Roxyfitness Run+SUP+Yoga on March 26, 2016, an exclusive event for women who like the sporting life. 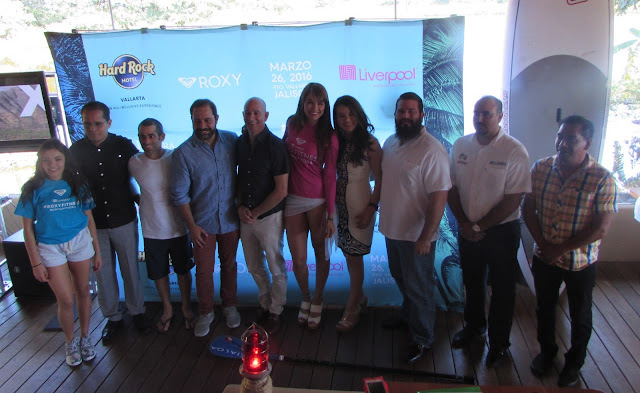 Organized by Roxy and sponsored by Liverpool and the Riviera Nayarit Convention and Visitors Bureau (CVB) with the support of the Nayarit State Government and the Banderas Bay City Council, the #Roxyfitness event will take place on the beach at the Hard Rock Hotel Vallarta in Nuevo Vallarta. From February 5, 2016 on women who buy a Roxy product retailing over MX$1,699 in Liverpool stores will receive a commemorative t-shirt. They can register online with the details on their receipt as well as other personal information at http://www.roxyfitnessmexico.com/. Space is limited to 1,000 women and the first 100 to register will have the opportunity to participate in the SUP 3K Race due to the limited number of boards; the other 900 are welcome to participate in the 5K Race and the massive 50-minute group yoga class. Join the movement on social media with #Roxyfitness and #RivieraNayarit.